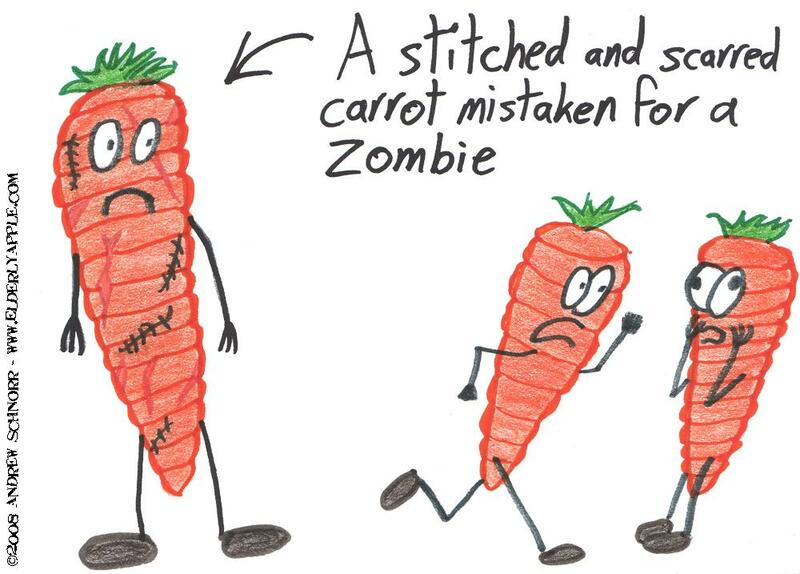 Also, if you enjoy carrots and other foods having eyes put on their inanimate frames, I recommend a delightful little comic called Ripeville. His stuff is always funny, and he even steals my ideas. So you know he has good taste! Looks like this guy got on the bad side of a vegetable peeler!